As a designer it’s great to have an open brief like this one. 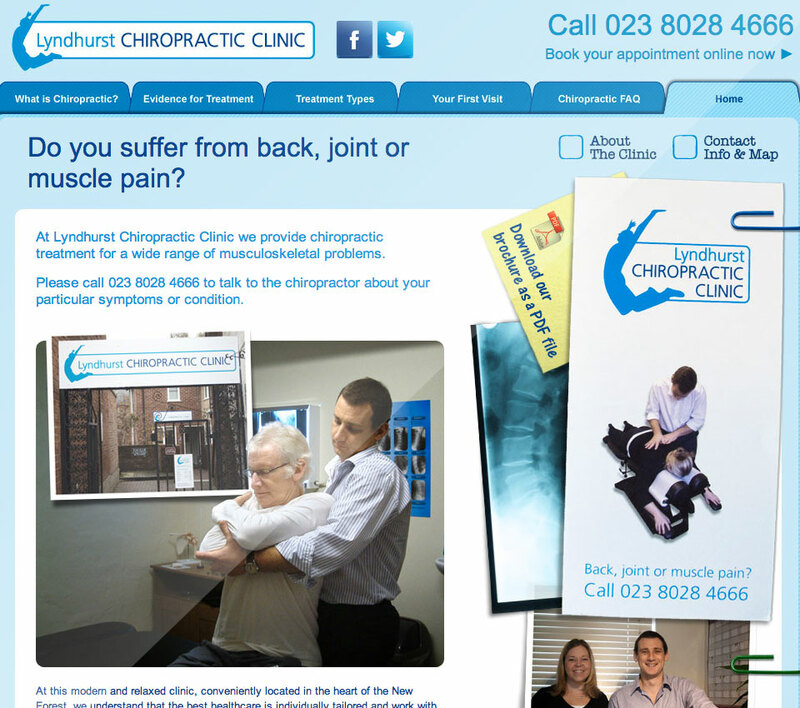 Whilst needing to adhere to the design guidelines Tinstar created for the Lyndhurst Chiropractic Clinic corporate identity, this website design was an opportunity to create something very different, interesting and informative, with graphics that pop off the page. 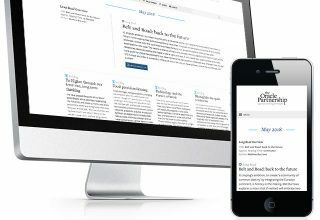 The content of the Lyndhurst Chiro website is concise and useful, and is made very accessible by the tabbed interface, designed to have a medical feel to it. 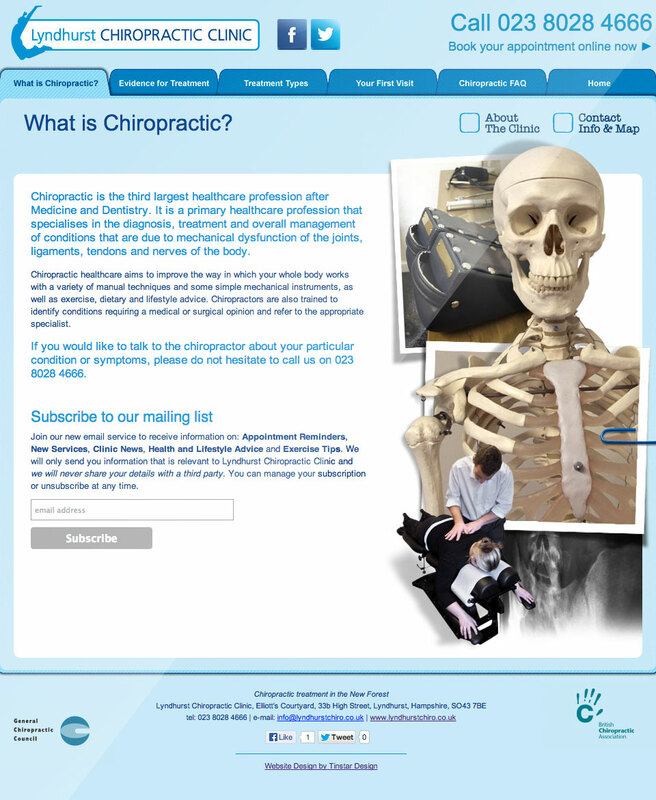 In developing the concept for this site, we trawled numerous (fairly dull) Chiropractic websites and made sure we went in the opposite direction! 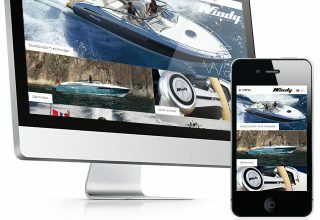 Our prime objective when creating a website is to deliver only what information is necessary and persuasive enough to get the viewer to pick up the phone and make contact.